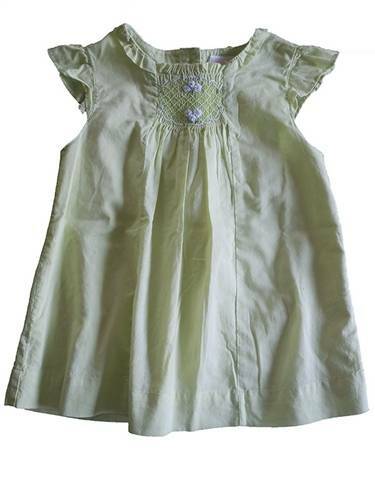 Pale green flutter sleeve A-line blouse. Smocked panel at neckline. Shirring to add fullness. Button back closure.